Instituting in all Nations to regenerate values and promote sustainability"A Place of World Faiths"
promote sustainability"A Place of World Faiths"
During recent years, numerous conferences are being organised by UN and other organisations on deploying religion as a positive force for nurturing ethics to reduce social conflicts, and promote sustainability. Most such conferences end up by adopting resolutions that all religions essentially stand for similar values, and that communities should live in harmony with each other. They do not address issues of exploitation, the basic cause of conflicts, and how positive forces can be generated to deal with it. Religion is the discipline dealing with personal and societal ethics. Religion has, however, been often responsible for committing political aggression on other cultures, creating social and ethnic conflicts, and dividing society. Because of the abuse of religion for political purposes, the West evolved the concept of secularism as separation of the church from the state. The increase in social and ethnic conflicts witnessed during the twentieth century has however led to an attitude amongst the educated of disrespect, often hatred, toward religion. Physics is the discipline of physical sciences. It has served the society well, but has also been responsible for creating devices for mass destruction. The fact that it has produced such devices does not mean that all study of physics should be abandoned. Similarly, the fact that religion has been responsible for social and ethnic conflicts does not mean that everything that is religious should be discarded. What needs to be done is to study and eliminate the factors that cause such conflicts, and deploy religion as a positive force for curbing destruction by disciplines such as physics and genetic engineering. The religious ethos of the East, though similar in essentials, is somewhat different from that of the West. The Hindi word "dharma", often translated religion, is a much wider concept encompassing universal values of humanism and duties of various functionaries in society. Most Hindu scriptures are not dictations but dialogues between the master and the disciple, trying to search the truth behind consciousness and the cosmos. It is often said that Hindu dharma is not a religion but a way of life. Hinduism and most religions of the East are henotheistic, that is, they believe in various manifestations of a single super-consciousness. Western tradition is monotheistic, that is, it believes in one god and inscripted prophets. Because of their henotheistic character, the approach of the religions of the East to secularism is of respect for all faiths whereas that evolved in the West is of mere tolerance of other faiths. Hindu scriptures lay great emphasis on fair and just governance. They define the political power structure and also the dharma or duty of various functionaries such as the state, religious leaders, state bureaucracy, local communities, parents and the youth. Hinduism does not have a single sacred book but a body of scriptures evolved over 4000 years of India’s civilisation, often referred to as dharmashastas meaning religious treatises. The scriptures dealing with affairs of the State stipulate that every local entity, that is a village or a town, shall be self-governing controlling local resources and decision-making, coordinated by janpads, that is, district or city governments. The monarch could be hereditary or elected. He could demand no more than 10 to 15 per cent of the local revenues for higher level functions and cannot interfere in local decision-making. It a monarch demanded more, the citizens had the duty or dharma to remove him, if necessary by force! The village and town governments thus drew authority from the scriptures, not from the monarch. Such governance is symbolised as Ram Rajya, the just rule of Ram, the monarch of the oldest Hindu epic, Ramanaya. Through history, Ram reached the hearts of and is revered by the people in many countries through his ideals, not through physical conquest or compulsion. 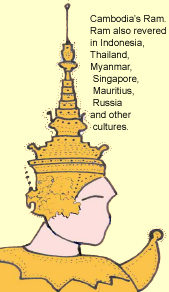 The villages of India thus functioned as self-sustaining tiny republics. 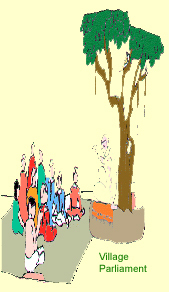 The rules of village governance are engraved on many ancient stone temples and are also found in Buddhist scriptures. They provide that the village parliament consisting of all adult men and women would be the supreme authority. Women in India were thus franchised for four thousand years whereas they got enfranchised in the West only in this century. They further stipulate that the village parliament would elect village elders for day to day work by secret ballot, usually for a year, and could remove them any time for misconduct! Significantly, village governments in Switzerland function on similar lines. "The village communities of India are little republics, having nearly everything they can want within themselves. They seem to last where nothing else lasts. Dynasty after dynasty tumble down; revolution succeeds revolution; but the village community remains the same…. This union of village communities, each one forming a separate state in itself, has, I conceive, contributed more than any other cause to the preservation of the peoples of India, through all the revolutions and changes they have suffered. It is in a high degree conducive to their happiness, and enjoyment of a great portion of freedom and independence. I wish, therefore, that the village communities may never be disturbed and I dread everything that has a tendency to break them up." 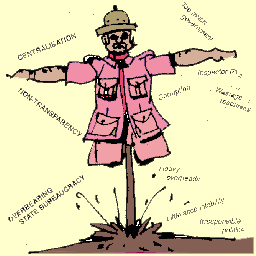 The greed of the foreign rule caused gradual disintegration of these village governments. The deliberate introduction of state tenancy as against the village tenure system dealt a deathblow to the corporate life of the village republics. The concentration of all executive and judicial powers in the hands of the British bureaucrats also deprived the villages of their age-long power and influence". 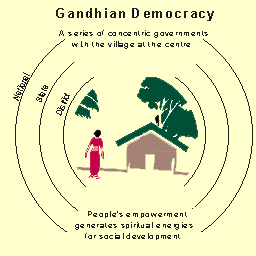 All through the freedom struggle, Gandhi wanted to reconnect India with its 4000 years democratic tradition of village self-governance. Aurobindo Ghosh, the well-known political activist turned spiritual visionary, said, "The village is the cell of the national body and the cell life must be healthy for the body to be developed. Swaraj (self-rule) begins with the village". When India attained independence, the then Indian leadership ignored such wise advise, and retained the exploitative colonial system —- centralised, non-transparent and bureaucratised. Centralisation of power provoked partition of India. Most third world nations adopted similar practices. In 50 years, these have led to all round social environmental, economic and political degeneration in painful reality. Such countdown for total disaster can be reversed only through true appreciation of religion. This is the challenge of the millennium. Many social thinkers have been highly critical of the way democracy has been functioning. Bernard Shaw described electioneering expenses as vulgar and soapbox election oratory obnoxious. It is now universally recognised that democracy is the only vehicle for realising a sustainable society. Unfortunately, political science has not properly defined democracy. Democracy can be best defined as how the common people would like the nation to be governed. Given the choice, the people would first retain resources at the local level for handling all local matters such as administration of justice, police, education, healthcare, land, water systems and forests. They would devolve a specified share of local resources to the state and national governments for higher level functions and coordination, but not permit them to interfere in local matters. They would require all representatives to function under effective transparency mechanisms covering the sovereign rights of the people to information, consultation, participation and referendum. Along with certain rights regarded as fundamental to democracy, this can clearly be said to constitute the basic structure of universal democracy. All other forms of governance are semi, pseudo or non-democracies. An egalitarian society in which all have equal social, economic and political rights and opportunities, has been advocated by social and religious thinkers since ages the world over. It however never got properly defined, much less instituted. Such a society can be realised only through true grassroots empowerment in which grassroots parliaments control all local resources and decision-making. Such grassroots empowerment nurtures societal values that look upon wealth for societal good not personal aggrandisement, and prevents exploitation of the weak. Social and environmental discords are resolved within the local level, that is, district, country or municipality. State and national governments have no jurisdiction over social matters, including religion. Based on 4000 years democratic ethos of India, Gandhi advocated such a system. He described democracy as a series of concentric circles with the village at the centre. ("Gandhian Constitution for Free India" by Prof. Shriman Narayan, published in 1946, republished on our website. Unfortunately, it never got adopted. 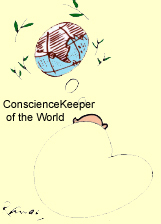 Conscience Keeper of the State : In the bygone days the monarchin most countries had a royal priest functioning as the conscience keeper of the state, advising on righteous conduct. Sometime unscrupulous monarchs ignored such advice, sometimes the priest abused his authority.Contemporary democracy needs an independent institution, Sovereign Rights Commissions, with authority to direct referendums, except on issues fundamental to democracy or the integrity of the nation. There can, for instance, be no referendum on making the state theocratic or a region seceding. Such commissions shall oversee that the sovereign rights of the people to information, consultation, participation and referendum are properly instituted and accessible to the people. They will also, after ascertaining the wishes and aspirations of the people, direct referendums to correct faulty institutions of governance, laws and practices, and monitor that they are adopted. They will, superior to the royal priest, somewhat like Gandhi, function as the non-corruptible conscience keeper of the state based on the values of the society as a whole. Moderating Decision-making for Sustainability : Based on the recommendation of the Rio Conference on Environment and Development held in 1992, upper houses presently protecting vested interest,should be replaced by Councils of Stakeholders at the local, state and national levels to moderate decision making for sustainability by resolving social, environmental and economic conflicts. Such councils shall consist of apolitical representatives of various stakeholders such as disadvantaged communities, farmers,labour, industry, religions, women, academics, professionals and civil society organisations. 1 Basic tenets of all faiths. 3 Repentance by Hindu priesthood for abusing its people by converting castes originally based on profession to those based on birth, making one untouchable, and introducing exploitative customs, thereby dividing the society. 4 Repentance by Muslim priesthood for abusing jehads for committing aggression on other cultures, fatwas as weapons of abuse, destroying hundreds of shrines of other religions, and perpetuating anti-women civil laws. Jehad truly means war within oneself for self-purification. Fatwa means dictum for the good of the society. Anti-women civil laws are legitimising four wives, instant divorce, and denial of inheritance. 5 Repentance by the powerful feudal lords of Britain for, in the name of democracy, creating the faulty Westminster system. Basic principles of management dictate that the executive, legislature and judiciary should be distinct and separate as checks and balance on one another. With a mixed up executive and legislature, every legislator in this system is a potential minister. This fosters abuse of authority, jockeying for power, horse trading, jumbo cabinet, bribing legislators and instability. 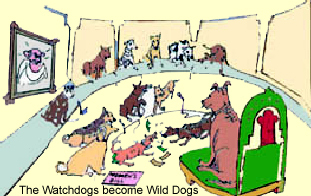 The Watchdogs thus become wild dogs of governance. Adopted by many nations, this system has caused immense harm to democracy. It led to fascism in pre-war Germany, repeated instability in post-war France, and abuse and instability in many third world nations. To protect their feudal interests, the feudal lords also created a House of Lords, whose variations for protecting vested interests, exist in many nations. 6 Repentance by Christian priesthood for committing aggression on other cultures, and abusing poverty for religious conversions. Repentance also by the political leadership of the West for subjugating other cultures and usurping their resources. It enslaved almost the entire African continent, destroyed cultures such as American Indian, and, at one time, ruled over two-thirds of the world. 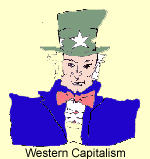 For sustaining its high levels of income and consumption, it is now sucking the resources of poor nations through return on loans and investments and unfair trade practices of aggressive capitalism and globalisation. 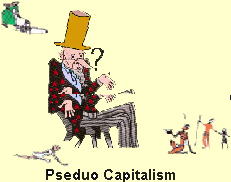 It is thereby circumventing economic recession, a painful recurring feature of capitalism. 7 Repentance by the political leadership of communist nations for, in the name of empowering local communes, creating an exploitative centralised system with controlled economy that destroyed all initiatives of the people. 8 Repentance by the political leadership of India for rejecting Gandhi, partitioning India, imposing emergency curtailing the rights of the people, and damaging the Golden Temple of Sikhs. Repentance by the political leadership of Pakistan for creating a theocratic democracy, a self-contradiction, and abusing the people now constituting Bangladesh. Repentance by the political leadership of both India and Pakistan for dividing Kashmir and fighting over it as real estate without concern for its people. 9 Repentance by most third world nations for instituting anti-people democracies based on exploitative colonial institutions —- centralised, non-transparent and bureaucratised, and superimposing exploitative socialist practises of centralised planning and a controlled economy. Such pseudo democracies have created heavy wasteful overheads and destroyed all initiatives of the people, fostering all round social, environmental, economic and political degeneration. Facing bankruptcy, they are now forced to open their economies and are drifting into pseudo capitalism that fosters vulgar wealth alongside abject poverty. 10 Repentance by the political leadership of China for usurping Tibet, an independent people of ethnic origin different from the Chinese, and converting communist rule to a fascist regime having a single party government, rightist economic model and a powerful war machine. Repentence by the political leadership of USA, the greatest proponent of democracy, for supporting such neo fascism. 11 Repentance by the dictators of all those nations such as Myamnar in which human rights are being violated, ethnic groups subjugated and violence against the people perpetrated. Those monarchs or dictators who have concern for the people and, like Ram, allow local communities to govern themselves, and serve their higher level functions, deserve respect. Such repentance shall be followed by forceful positive initiatives for correction. Vision of the Super-Conscious A multimedia exposition "Vision of the Super-Conscious" should be established adjacent to the Place of World Faiths for inculcating values amongst the modern youth. The exposition shall have four wings, namely, (1) Experiencing the Super-Conscious through ages and in different cultures. (2) Halls for discourses, devotional singing, and meditation, (3) A spiritual university with dedicated research on egalitarian democracy, and its importance for humanity and sustainability of our only earth, and (4) Einstein and Gandhi on relationship of science and religion. Einstein made some remarkable discoveries in physical sciences that led to further development in frontier technologies such as information, space and genetics. His discoveries thus did not represent the last truth. He is the man of the second millennium. 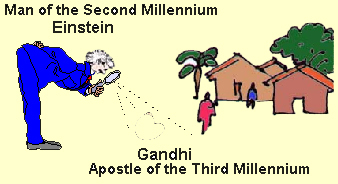 Gandhi only reiterated the truth that was discovered in the village of India 4000 years ago, bur forgotten or ignored. It represents the absolute truth. Gandhi is truly the apostle of the third millennium.